Guests will enjoy sweet and savory offerings, tea sandwiches, desserts and, of course, tea, served in delicate china cups. Looking for a unique way to celebrate Mother’s Day? Join the staff and volunteers of the Hull Family Home & Farmstead for a very special traditional Mother’s Day Tea Party on Sunday, May 5 at the Farmstead, located at 5962 Genesee St. in Lancaster. There will be two seating times, 11 a.m. and 2 p.m. Guests will enjoy sweet and savory offerings, tea sandwiches, desserts and, of course, tea, served in delicate china cups. The historic Hull Family Home & Farmstead will also be open for tours between noon and 4 p.m., and docents will be available to share information and answer questions about the house and family, including Polly Hull, wife of Revolutionary War veteran, Warren Hull, and mother to his 12 children. 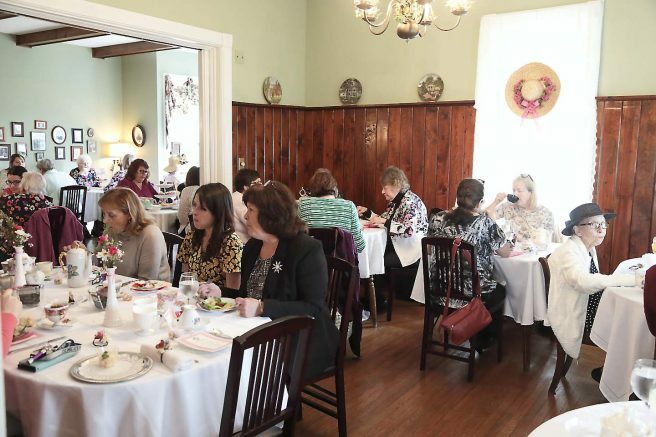 The cost to attend the Mother’s Day Tea is $25 per person. Prepaid reservations are kindly requested as seating is limited and this event sells out quickly every year. (Please note that due to space limitations, guests are asked to arrive no more than 15 minutes prior to your scheduled seating time.) Reservations are being accepted beginning April 5; please call 741-7032. All proceeds benefit the restoration of the Hull Family Home & Farmstead. Be the first to comment on "Hull Family Home & Farmstead to host Mother’s Day Tea"